When you are a full time working mum, you may realise that you don’t get that much needed time to yourself that you one had before. Moving around at 100mph, trying to get every one of your jobs done in the fastest time you can, hoping that the quicker you cram everything in, the more time you will have to yourself later. But no, this never ends up being the case. Even though you re attempt to make it work on a daily basis! Everyone is always saying ‘I don’t know how you do it’ and do you know what?..neither do I! It’s just what us working mums do! We learn to manage.. I take my hat off to you mums with more than one child! You ladies are amazing and deserve a medal! Within my job role, working shift work and long hours is very tiring in itself let alone having to deal with other people’s lives, resolve their concerns and issues and be responsible for protecting and saving lives. Having to tell other people’s children off and tell parents how to parent them is another thing. Because then I have to come home and tell my own off! …. Btw, I love what I do! So after a long 12 hour shift at work, you want to get home, have a bath, get in your cosies and snuggle up with a blanket on the sofa…well that’s what we dream about doing, but instead we are changing the bins, cooking dinner, ironing clothes, hoovering as its the only time you can fit it in, washing up and all the general chores that face looking after your home! Because if your anything like me, I don’t like mess!….. Oh there’s more, check your child’s school bag, reply to that party invitation you were meant to do 4-5 nights ago, listen to them read, fill out their homework books, bath them, play Lego and everything else looking after another little person involves. Sometimes you appreciate that occasion every now and again, when someone has dinner ready for you! 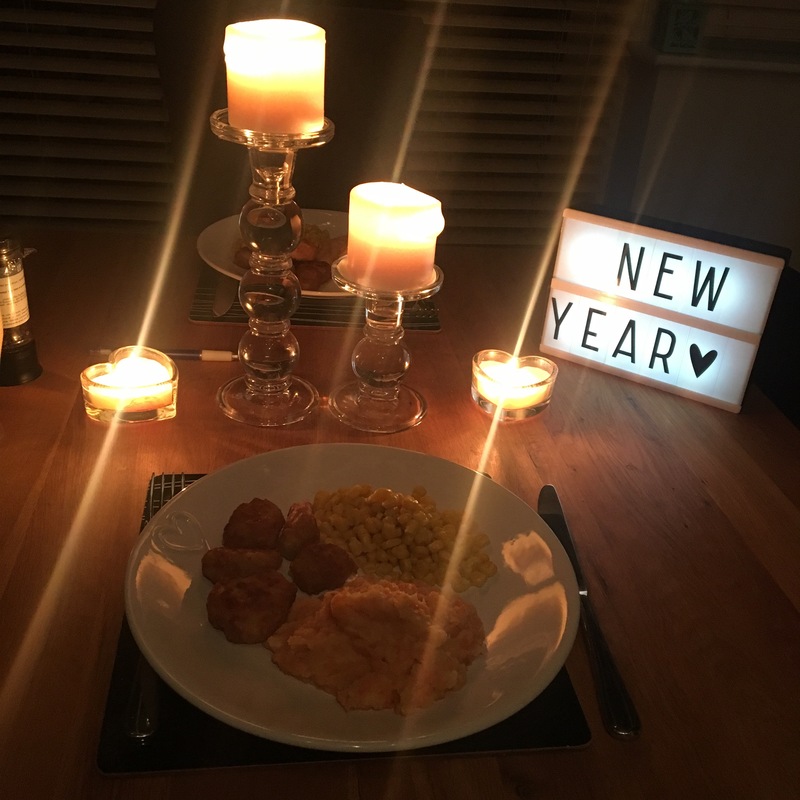 This is what I came home to tonight after work and doing my mum duties…. And I fully appreciated this small token of one less thing to do tonight! Being a mum is the best and I wouldn’t change having my free time back for anything.